Weddings are joyous occasions meant to celebrate a beautiful moment between two people. Imagine yourself waiting for all of your guests to arrive and the suspense as you are just moments away from walking down the aisle to marry the person you love. Your soon-to-be better half is waiting in anticipation, nervously to see you. The guests wait as you prepare to reveal yourself for the first time to everyone and make your grand entrance with your father or person who will be escorting you to the one you love the most. You cannot wait until the moment comes. Finally, the doors open and you cant wait to see…an ocean of cell phones. These days almost everyone has a smart phone. I cannot tell you how many weddings I’ve been to where special moments are ruined by iPads, cameras, cell phones and the like. Guests will encroach into the aisle, elbow one another out of the way and muscle each other around to get that perfect shot with their grainy electronic device. There are two major problems with this. Firstly, nothing can ruin a special moment more than being violated by a multitude of devices in your face. Secondly, professional photographers and videographers are expensive and their work cannot be done well with this obstacle in the way. Live in the moment. Smart phones and digital devices are great, but everything has its place. By viewing such a magnificent moment through a screen, many people miss out on living the experience in real time. It is also distracting to the bride, the groom, and the professionals they hired. I’m sure everyone will be ecstatic that Uncle Tom got his great, center aisle shot of the bride coming down, but do you think she is hoping to see Uncle Tom as she approaches, or perhaps her fiance? If only he had brought his selfie stick to shove in her face as she was walking. Brides also pay a lot of money to have professional photos and video taken so that they can re-live the day. Do you really want to see this ruined by Aunt Cathy standing in front of the cameras you paid to be there? Maybe if she gets that grainy iPad shot of the first kiss, it will make up for it…unless the photographer misses it because she is in the way. Professional photo and video is expensive. Don’t let be for naught. So what can be done about this every growing smart phone dilemma? Try having an UNPLUGGED WEDDING. Many people are doing this now and encouraging guests to live in the moment with them by putting their phones and devices away. You can always offer guests copies of the professional photos and video afterwards to encourage them to live with you in that special time. By doing this, you make your day more intimate and also save yourself heart ache by having the best photos and video possible. There are many examples out there of UNPLUGGED WEDDINGS including signage and how to go about executing it. If you still are unsure whether to have an unplugged wedding or not, take a look at the photos in the link below. These are photos from weddings that were not unplugged. 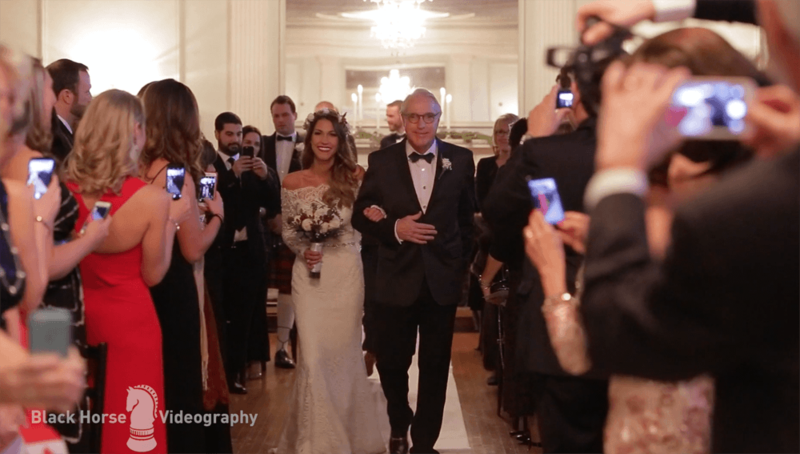 When it comes down to it, you must make the decision that is right for you, but as long as you hired top rated photographers and videographers, there is nothing to worry about.